Home Random Stuff Blog Meet the new and different looking “Power Rangers”! 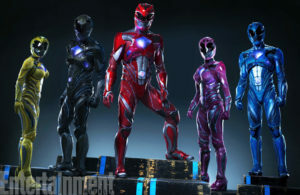 Meet the new and different looking “Power Rangers”! Those who grew up in the 90’s and have followed Saban Brands’s Power Rangers franchise will be very familiar the words “It’s Morphin’ Time!”, but now the company and Lionsgate are officially giving the world its first taste of the new look the team will be sporting in the new live action film hitting on 2017, as Entertainment Weekly revealed the first roster team shot of the “Power Rangers” movie hitting on 2017! While certainly looking much different than ever before, the upcoming live-action movie directed by Dean Israelite will be based on the first series “Mighty Morphin’ Power Rangers” (which adapted and used footage from Toei Company Ltd.’s Sentai series Kyoryu Sentai ZyuRanger) – concentrating on five high school teenagers who are chosen to become heroes and save the world from an alien threat. 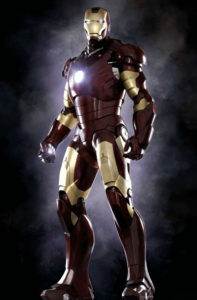 Once the image was revealed to the world, a LOT of comparisons were made to a certain “Armored Avenger” from the Marvel Universe – namely Iron Man. The Power Raangers no longer sport whole body spandex or suits made wholly of fabric. Instead, they are now armored and even have “glowing blue lights” in areas that will be called “Arc Reactors” by fans who compare and contrast w/ ol’ Shellhead as he appears in the Marvel Cinematic Universe. 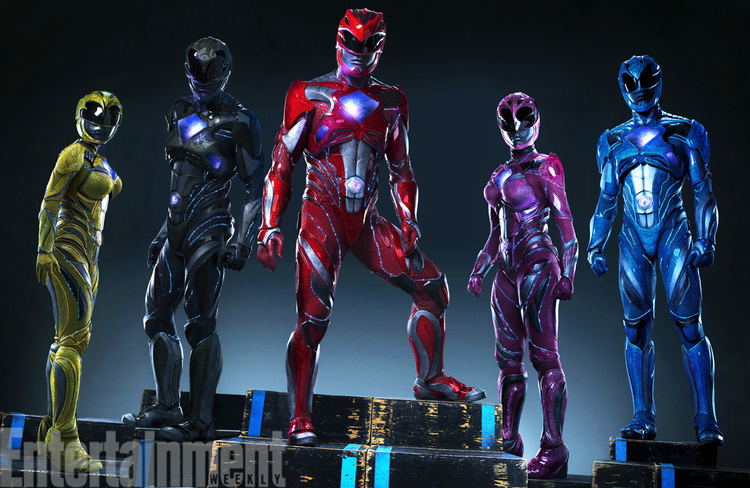 In fact, news site Geek Tyrant even called their article “The New Power Rangers costumes look like Tony Stark designed them“, and that’s not far fetched at all. 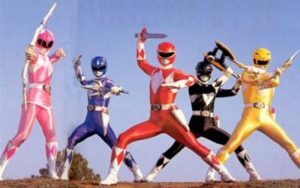 The new Power Rangers will make their Big Screen debut on March 24, 2017.